"Our goal is 200 million users of Ubuntu in 4 years", said Canonical founder Mark Shuttleworth, while delivering the keynote address to the attendees of the Ubuntu Developer Summit, currently taking place in Budapest, Hungary. 200 million users in 4 years, a very tough ask to put it lightly. Will he able to pull of such an enormous feat? We will have to wait and see. But I feel, Ubuntu with its Unity interface has the potential to break into the hearts and minds of vast majority. 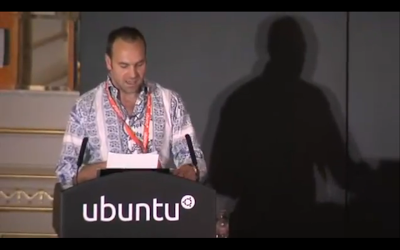 Good luck Canonical and Ubuntu.